The new meter has a plastic case, whereas most of the older electro-mechanical meters had glass cases. The plastic cases are clearly subject to melting and burning, as evidenced by the condition of the meter from the ‘HP’ [house panel] section of this panel. The new meter has a remotely-operable switch inside that allows the power to be disconnected by the utility company from a remote location. Older electro-mechanical meters typically were not equipped with such switches. Switch contacts have the potential to make poor contact and generate heat. The new meters have a complex circuit board internal to the meter to support wireless communication, metering functions, and the operating driver for the remote power disconnect switching function mentioned above. The only power available to support these functions is the incoming 120/240-Volt line power or a backup battery internal to the meter. Circuit board fires in general are nothing new to forensic investigators. They have been well-documented as fire causes in computers, home appliances, and commercial appliances, to name just a few. Finally, it should be noted that the area where the fault occurred is not accessible to the building owner or electrical maintenance personnel, since it behind a utility-company-owned meter that is secured with a locking band also provided by the utility company. This implies that any ‘wear and tear’ in the subject secure space, whether to the panel or the meter, is extremely unlikely to occur in the first place, and would be unlikely to have been caused by anyone other than utility company personnel if it did occur. The above analysis explains why the fault must have originated within this inaccessible space inside or behind the meter. All indications are that the fault originated inside the meter, but a slight possibility remains that the origin may have been the result of poor contact between the meter blades and the panel socket clips. A detailed destructive examination of the offending meter is indicated to confirm this conclusion. “All observed damage to the electrical panel and the meter itself is consistent with a fire triggered by extreme heat at the defective switch contacts inside the meter. The heat transferred to the metal clips, which were held in position by a resin-based insulator. The extreme heat ignited the insulator. The ensuing fire burned upward inside the panel, explaining the damage to the circuit breaker located directly above it. Open flame conducts electricity, so the flame drew an arc between the two energized power rails in the panel, explaining the unusual arc patterns in the center circuit on the panel, which was not part of the ‘HP’ meter circuit. One final observation must be noted here. All of the above activity occurred in a section of the electrical panel that is not accessible to anyone except employees of NV Energy. The meters were secured in place by locking collars, as noted in previous reports, precluding anyone else from accessing the area of the panel where this fire originated. The previous ‘not smart’ meters cannot and do not cause these types of fires because they are not equipped with the switching contacts that allow the utility companies to turn power ‘on’ and ‘off’ to their customers at will without the nuisance of having to actually go to the site. The switching contacts are not required to make a meter ‘smart’…the smart designation comes from the ability of the meters to track power usage continuously and transmit the data back to the utility company. The switching contacts are a feature provided purely and solely for the convenience of the utility companies. This convenience comes at the price of exposing innocent and unsuspecting customers to fire hazards originating in a section of their electrical panel to which they have no access. This fire was very obviously caused by overheating of the switching contact on the left side power bus inside the Sensus meter serving the ‘HP’ circuits of the building. This fire occurred solely and directly as a result of the local utility company, NV Energy installing a defective meter into an existing and serviceable electrical panel. The fire originated in a locked and concealed area that is accessible ONLY to employees of NV Energy. What you have just read would never be publicly disclosed by a utility company or smart grid proponents. The forensic evaluations were performed by EFI at the request of an insurance company. In my experience, the utility company or meter manufacturer will never admit liability for smart meter fires as they employ a product defense strategy with their attorneys. They will blame the “customer wiring” for the fires. Utilities also make attempts to remove burned smart meter evidence from fire scenes hindering the efforts of fire investigators  . 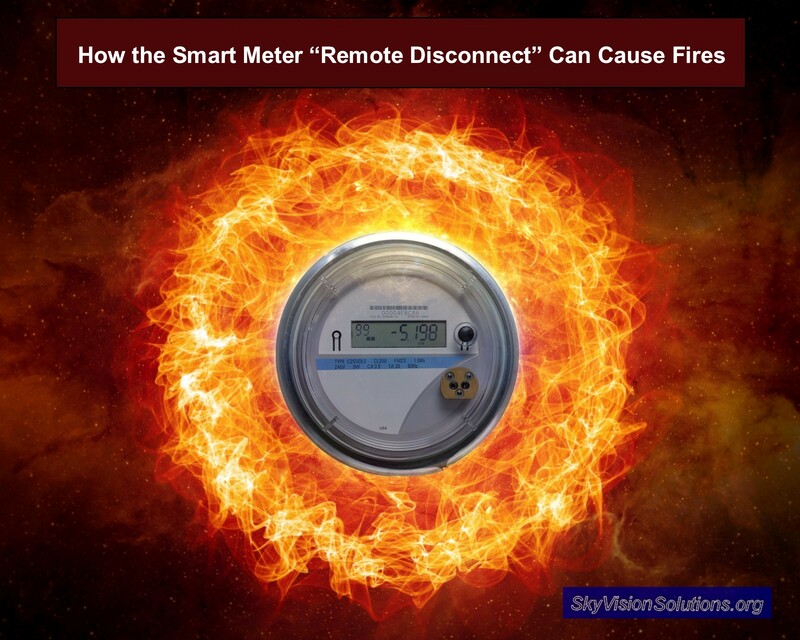 This article has thus provided you with additional evidence demonstrating that smart meters increase the risk for fires [5 through 11], in this case due to the remote disconnect (RD) feature included in most smart meters that are being deployed today. This entry was posted in Smart Grid, Smart Meters, and RF Emissions and tagged fires, Remote Disconnect, Safety Concerns, Smart Meters. Bookmark the permalink. Excellent article by KT Weaver, and the truth, with no fancy exaggeration. 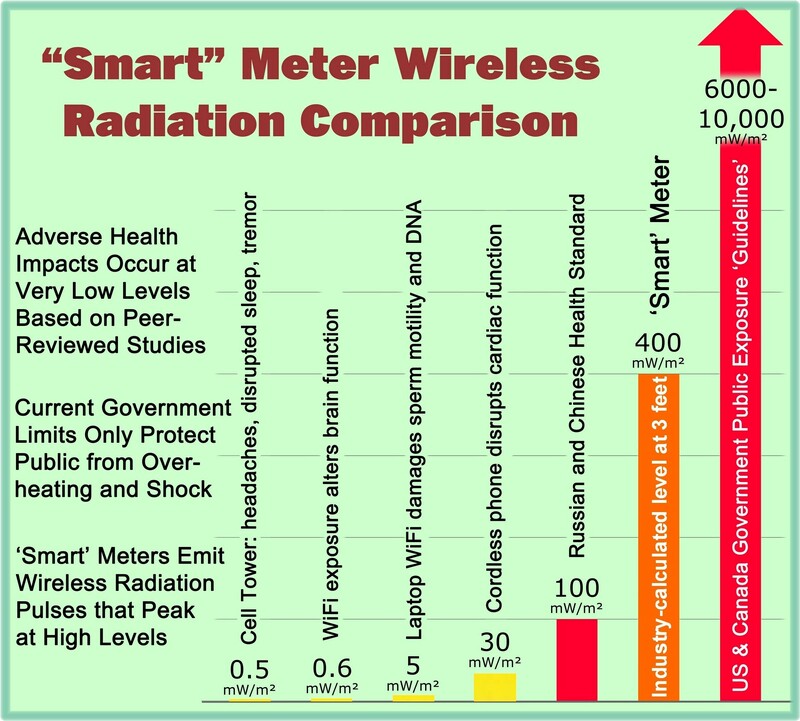 We have the same smart meter risks in the UK. When I suggested to a smart meter installer about the ‘hidden’ cut off contacts, he told me “not to be ‘ridiculous!!”. So when your kids are turned to KFC, the electric company will ‘slime out’ of blaming the smart meter cut off, and instead blame the poor sod who installed it in your house for doing a ‘rubbish job’, for which he will then get the boot. This is how the utilities will play THIS game!! This now needs to go to people like the ‘Which’ company and the Press and TV to warn the public NOT to agree to having a smart meter, and this reason why, and the present ones ALL withdrawn to remove the hidden internal cut outs, because of these real fire risks. The construct of these things is a joke (considering it’s carrying the full house load of around 60 Amperes in some cases), and I have seen better build quality in cheap imported Chinese toys!! Do you have any Legal Court papers on this subject? If my Smart meter burns down my house what prood could i provide that its the utility’s fult? Each house fire will need to be investigated based upon the specifics. This website has demonstrated how and why smart meters increase the risk of fires as compared with analog meters along providing many examples of actual fires. Investigations are complicated by the fact that utility companies often remove evidence from the fire scene before investigators can look at it (see reference 4 above) and that utilities deny smart meter fires due to public relations and liability reasons. When faced with possible revelations, utility companies will likely engage in a legal settlement where details are not disclosed to the public; see reference 11 for an example of that. This particular article was based upon testimony of an insurance claims adjustor submitted to the New Mexico Public Regulation Commission; see the link for reference 3 above. I suggest you read his testimony for more detailed information on the challenges of investigating possible smart meter fires and proving what was the cause of the fire. Great article. Relays information in layman’s terms. OF COURSE THEY DO! THEY ARE PLASTIC AND HEAT UP GO FIGURE! Not mentioned is the possibility of repeated switching (and subsequent failure) of the RD contacts resulting from: 1. electronic hardware malfunction, 2. firmware malfunction, 3. embedded microcontroller crash, 4. host computer system hiccup, or 5. communications hack. Most likely, I believe, would be 1, 2 or 3 above resulting from a lighting strike.